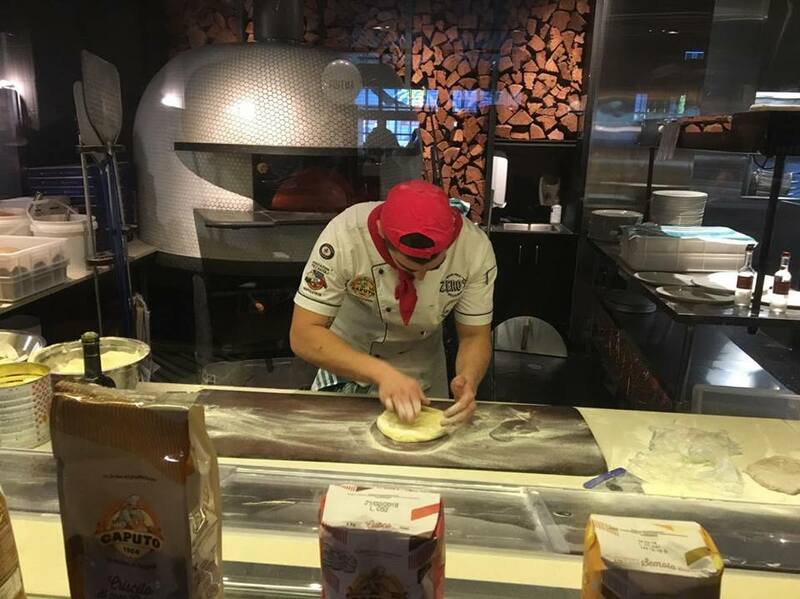 Yesterday we attended Antica Pizzeria for the 2016 World Pizza Champion, Andrea Cozzolino’s Master Class. 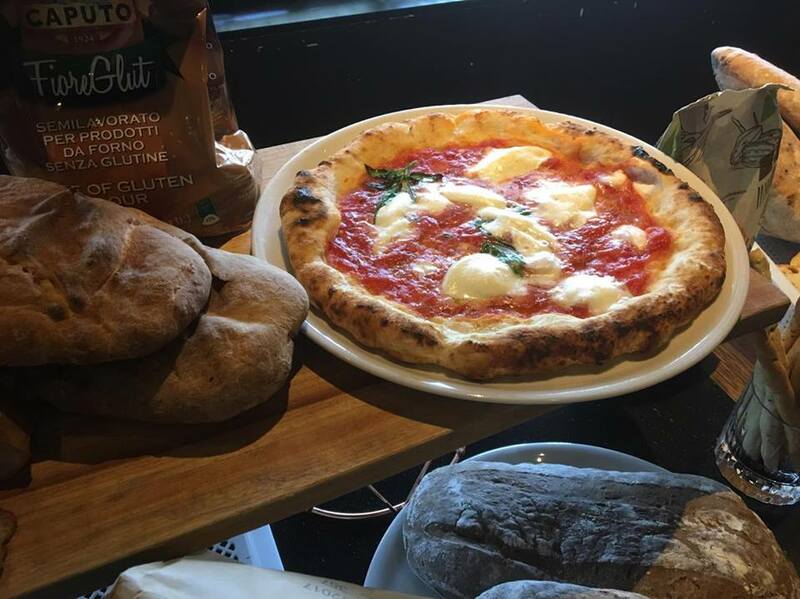 Using Caputo Flour, he showed us how to make a traditional Napoli pizza base as well as wholegrain and gluten free bases. His pizzas were simplistic but packed with flavour! The texture of his Napoli pizza was perfect; chewy and crispy simultaneously. The fact that he made a gluten free pizza base with a very similar texture and flavour is fantastic for those in need of an alternative to gluten! You wouldn’t consider it was any different if you weren’t told. 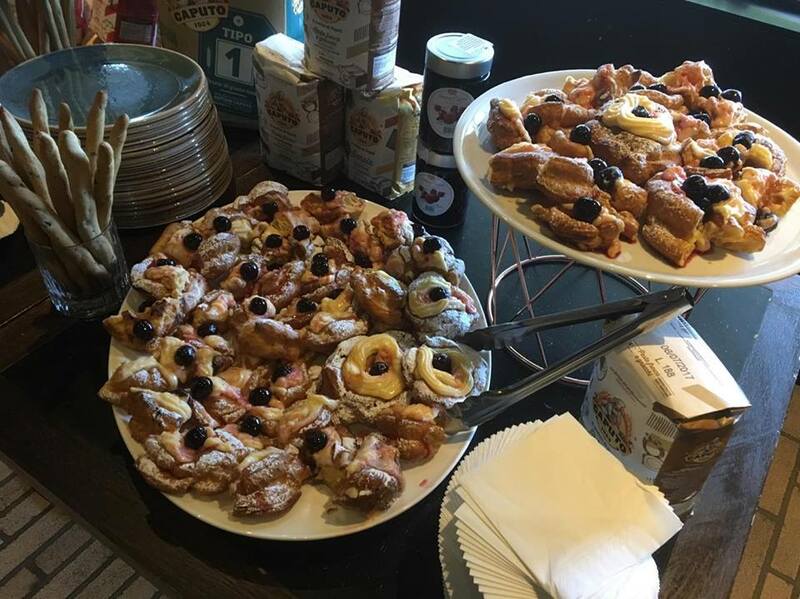 Before the masterclass we were graced with a buffet of freshly shaved prosciutto, newly baked bread and some delicious Italian pastries, all supplied by Basile Imports. It was a fabulous and entertaining event hosted at the Antica city store. 7. Ideally you would cook the pizza for just 90 seconds at 460 degrees Celsius. You could also use your normal oven at 250 degrees Celsius for about 10-15 minutes, but make sure you keep an eye on it to make sure if doesn’t over cook! Thank you so much to Andrea Cozzolino for your insightful master class, Antica Pizzeria and Basile Imports for the delicious food, and Neon Moose for hosting another great event.